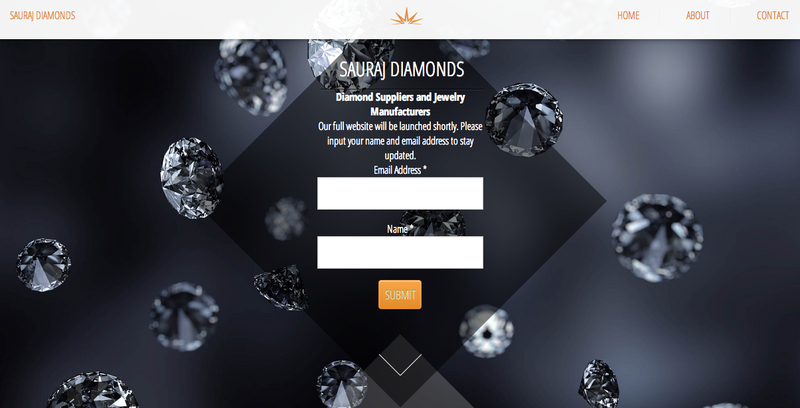 Just in time for Valentine’s Day, Ember Networks has unveiled a microsite for one of our newest clients, Sauraj Diamonds USA, INC! We’ve been excited to work with Sauraj Diamonds as their work on custom jewelry designs is unparalleled. Sauraj maintains a steady supply of loose diamonds and has been manufacturing their own diamonds for 50 years. We wanted this website to scream luxury and quality and we incorporated a curtain reveal to showcase some beautiful diamond imagery. The reveal effect uses horizontal header breaks to uncover fixed responsive images accessible scrolling content. Ember finds this encourages users to engage with the website as they discover new content. Upon accessing the website the user is greeted with a centered diamond. The diamond is made using pure CSS. It’s lightweight, fast, and browser-friendly. There’s a series of transform effects that allowed us to incorporate this diamond and have straight readable text “on top”. In the diamond “header” Ember has integrated a Mailchimp form designed to match the style of the website. 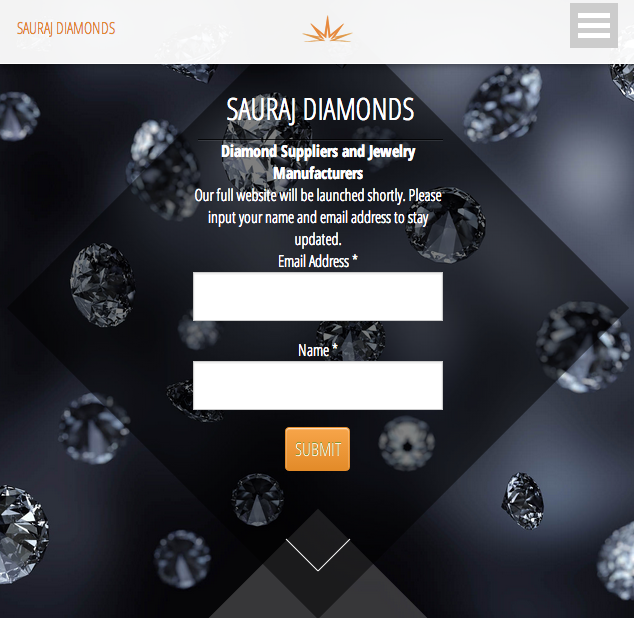 The Sauraj Diamond microsite is easily accessible on all mobile devices, platforms, and browsers. When accessed on a mobile device the website displays a responsive multi-level menu, maximizing screen real estate and improving the user experience. 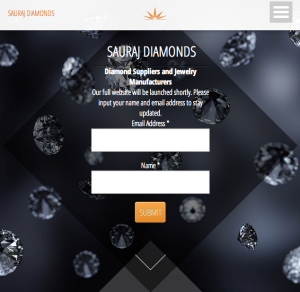 Ember is proud to announce we will be launching an exhaustive e-commerce website for Sauraj Diamonds in the coming months. Visit www.saurajdiamondsusa.com and show Sauraj Diamonds some love. Contact Ember Networks for any digital marketing, inbound marketing, or web design and development needs. Sauraj Diamonds USA is within the S. Narendra Group of companies and has valuable industry experience of over 15 years. Sauraj have been manufacturing diamonds for over 50 years making for consistent, quality stones as well as competitive pricing. Sauraj Diamonds creates custom live designs and will assist clients from product inception to marketing.